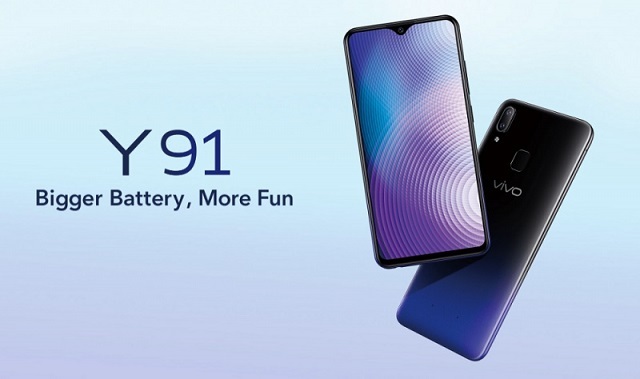 Vivo Y91 now official in the Philippines at Php 9,999. Vivo announces Y91 right before we dig deeper into Christmas season. The smartphone delivers the same well-loved specs from the smartphone maker, plus a bigger battery capacity for limitless enjoyment. 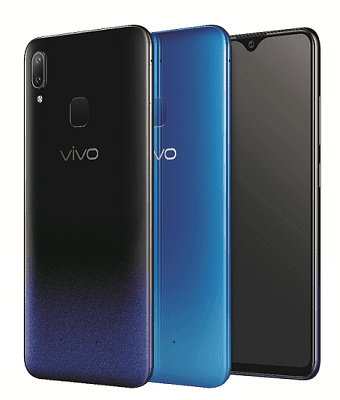 The Vivo Y91 has a trendy 6.22-inch Halo FullView Display with an 88.6% screen-to-body ratio. The 3D curves fit the palm perfectly, for an experience that’s truly irresistible. In addition to a smart design, the Y91 has smart hand gesture controls that make the large display effortless to handle. The smartphone also has a color gradient that dazzles as the brand continues to expand its design. The Y91 adopts the trendy back-cover gloss painting process that intricately blending hues which invoke the colors of the universe in Starry Black and Ocean Blue. The Y91 also has a sharp 8MP front camera which captures more facial details. Its AI algorithm detects your gender, age, skin tone, skin texture, and lighting environment, further enhanced by the AI Face Beauty capabilities. The smartphone also delivers a fresher selfie experience with the AR Stickers that add flair to any shot. Even with the bigger 4030 mAh battery capacity, Vivo further improved the performance of the Y91 is its exclusive, smart-energy power management system. Moreover, it has a 3GB RAM, and octa-core processor with a 12nm design. It has a 32GB of storage space expandable up to 256GB that gives users the freedom to download whatever apps they want. The Y91 is powered by the Jovi Smart Assistant which turns the smartphone into anyone’s best buddy. It can count the daily steps and calories, tell the results of the games of the user’s favorite sports teams, notify users about weather updates, and advise users who are working late into the night to take a rest. It also supports Vivo’s thumbprint Smart Split functions. A simple, three-fingered swipe splits the 6.22-inch screen in two, so users can chat with their friends while simultaneously watching videos. It supports Facebook, Line, Messages, Viber, WeChat, WhatsApp, BBM, Play Movies and TV, YouTube, Video, MX Player, VLC for Android, Google Maps, WPS Office, Microsoft Word, Microsoft Excel, Chrome, Gmail, and more. The Vivo Y91 is now available on Lazada and Shopee for only P9,999.